Want to test your team against others in tournament action? It’s a great chance to see the level you’re at and get game experience against other teams. Plus there are some great charitable causes, not to mention some great prizes that you can be playing for as well. By popular demand we’ve created a directory of all the tournaments. At the moment these are mainly UK based, but we welcome tournaments from all over the world. It’s completely free to list tournaments – we want this to be an open platform that’s simple and useful. All that we ask is that if your team enquires about a tournament, that you mention that you saw it listed here – it will help the organisers see if this directory is a useful resource for you all. If you have a tournament that you want to list for free on this page – please click here for more information! The following two 5-a-side providers are the biggest around at the moment. They’ve got a lot of tournaments which you can find through going through the links below – we can’t list them all because there are too many, but from time to time we’ll pick them out individually and put them in the general page below. 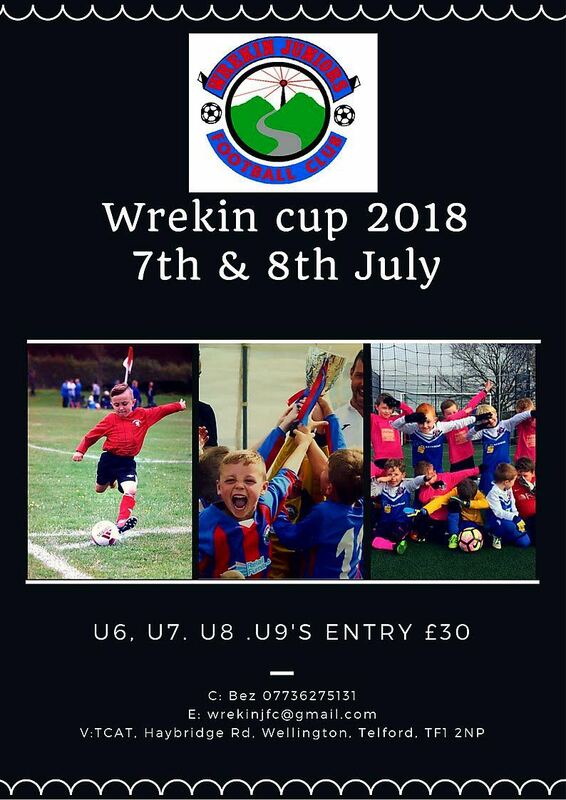 7 July 2018 (Sat) – TELFORD – Telford college of arts and Technology, 5-a-side, 7-a-side, Wrekin Cup and Grassroots trophy, Boys u6.u7.u8.u9.Grls u9s, £30.00 entry fee. Beginning at: 9.30 U6s must be aged 6 and above. U6s & u7s play on 4g 5v5. the u8s and u9s on grass pitches 7v7. Each team will get a minimum of 5 games but have the opportunity to play in 2 competitions. Other entertainment to keep others occupied are bungee jump. Gaming van. Go karting and much more. 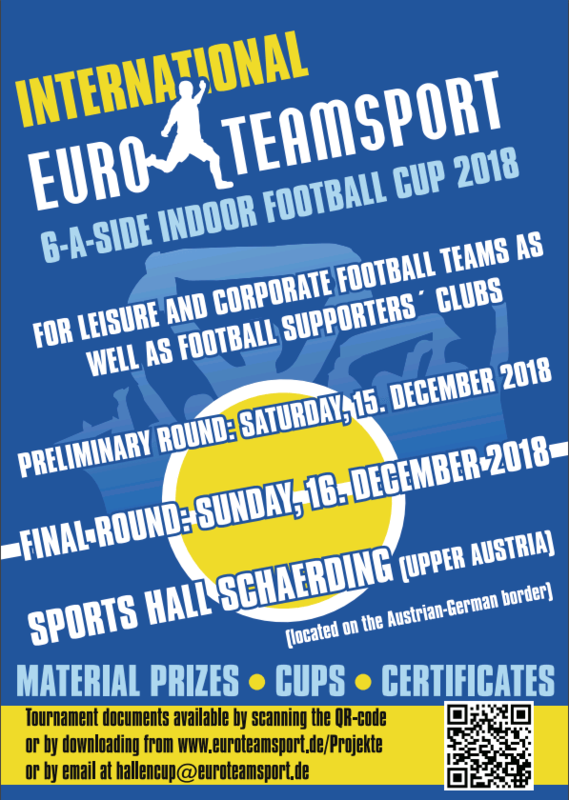 For the second time the International Euroteamsport 6-a-Side Indoor Football Cup“ for Leisure and Corporate Football Teams/Clubs as well as Football Supporters` Clubs will take place on Saturday, December 15 (Preliminary Round) and on Sunday, December 16, 2018 (Intermediate and Final Round) in Schaerding, Upper Austria. The tournament will feature clubs/teams from Germany, Austria and Czech Republic for sure. Hopefully participants from further countries as well. The legal bit: Listing of tournaments on this page does not constitute an endorsement of these competitions by 5-a-side.com. In a lot of cases, the wording has been provided by the tournament organisers themselves. Please note that in compiling this list 5-a-side.com has tried to provide correct information. However, it takes no responsibility for the accuracy of the information provided or the running of any of these tournaments. Nor does it accept any responsibility for any loss or damages you might incur as a result of registering for or participating in any of these tournaments, or for any cancellation that may occur. 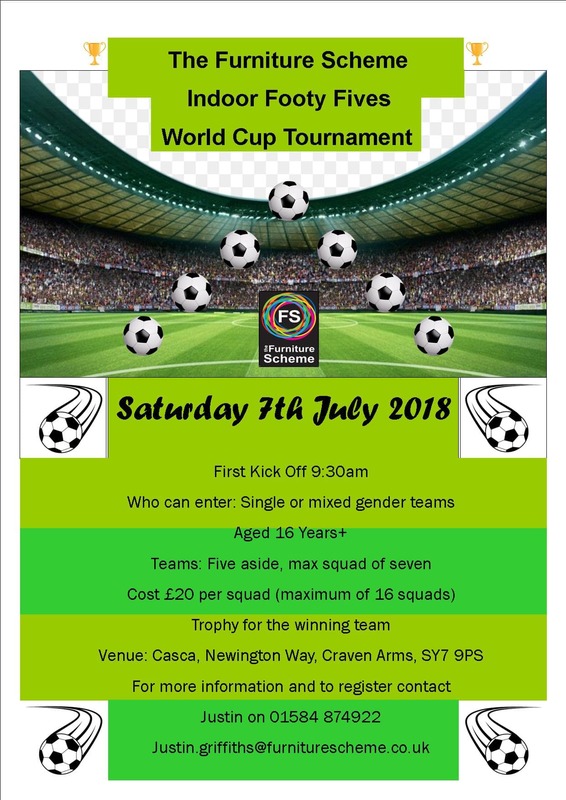 Please contact the organisers directly to confirm details and book a place – provision of this information does not make 5-a-side.com party to any dealings between you and the tournament organiser.